For all of your real estate needs since 1979! Pat is a Southern California Native. Pat grew up in Whittier California and raised two sons. After moving to Seal Beach in 1997 she has enjoyed calling Seal Beach her home every since. 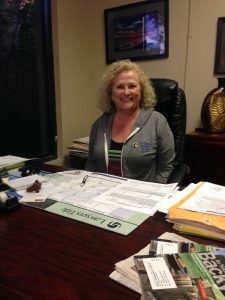 Pat decided she was never leaving the area and in 2006 she opened her own office in Old Town Seal Beach. Besides the wonderful life styles the area has to offer Pat enjoys helping clients discover the beauty and amenities of the area as a local Real Estate Broker. Pat prides herself on always having her clients best interest at heart when helping them buy or sell a home. When you are ready to buy or sell please do no hesitate to give her a call and see how experience really does make a difference.